Despots throughout history have recognized the importance of subjecting the youth to heavy doses of propaganda in order to facilitate their rule by manufacturing their support—adoration, even. Government education, even in the “land of the free,” accomplishes the same objective, inculcating its students with a pro-state perspective. Sadly, most people in the liberty movement aren’t fighting this battle for the hearts and mind of the youth. Even worse, many don’t realize that a battle is underway at all. If we’re interested in liberty in the long term, it’s important that our educational efforts encompass not just adults, but their children as well. As the father of two young children, I began looking a couple years ago for material that would help my children better understand the concepts I hold dear: individual liberty, non-aggression, free markets, property rights, The Tuttle Twins Learn... Connor Boyack Check Amazon for Pricing. etc. The results were shocking—because there were hardly any. Sure, there were books about the U.S. Constitution or American history, but these were geared for older children, and they didn’t discuss the fundamental principles I wanted to expose my children to. So a friend and I set out to fill this profound void in the market by creating the Tuttle Twins series of books to do exactly that. We based our first book off of one of the most persuasive and popular treatments of law and liberty: Frédéric Bastiat’s The Law. Our version, The Tuttle Twins Learn About the Law, presents Bastiat’s chief arguments in a fun story with engaging illustrations. The response has been amazing, and we’ve sold thousands of copies in the first few months! Clearly there is a demand for this—so we’re going to create about 8-10 books in the series. 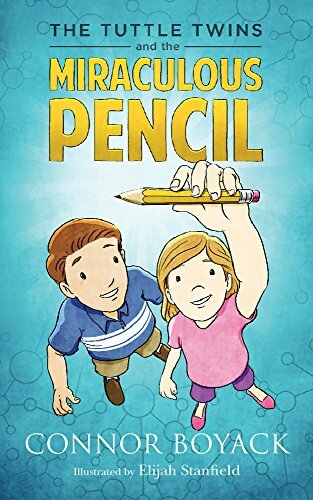 Our second book was released a few weeks ago, and is based on “I, Pencil” by Leonard Read. The Tuttle Twins and the Miraculous Pencil helps dismantle a child’s entitlement mentality and increase their wonder for the free market by helping them see how even simple objects like a pencil are the results of a complex and fascinating network of people, processes, and parts that work together—without any central planning—to accomplish an objective. The Tuttle Twins and t... Connor Boyack Check Amazon for Pricing. When we began this series, we assumed that our biggest audience would be libertarians who are familiar with the original works upon which we’re basing our books, and who would thus want to expose their children to the same ideas for discussion and learning. While this group has definitely been responsive to our book series, the biggest market has become homeschooling families who are eager to find material that teaches their kids about these ideas—even though, in most cases, the parents do not identify as libertarian, have never read the original works we’re referencing, and don’t really understand the ideas too well themselves. The children are learning, and so are their parents. Parents are finding their way to Bastiat, then to Rothbard, Ron Paul, and others by seeing their kids come alive while learning about liberty. For his part, Ron Paul understands the importance of this—and that’s why he’s sought out to create a homeschool curriculum for parents to teach their children using material with a pro-liberty—rather than pro-state—perspective. We need more of this—and fast. We’re excited about the high interest in our books, but we’re also big believers in competition and the division of labor. As a movement we need to invest time and attention into the rising generation, and determine strategic ways to attract their attention and interest in the philosophy of liberty. 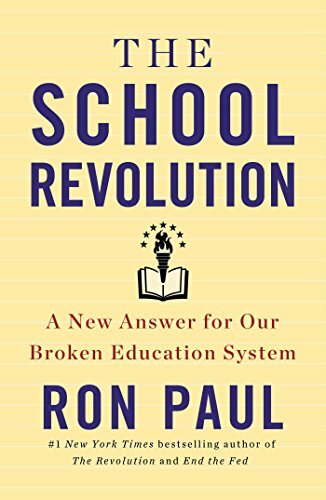 The School Revolution:... Ron Paul Check Amazon for Pricing. 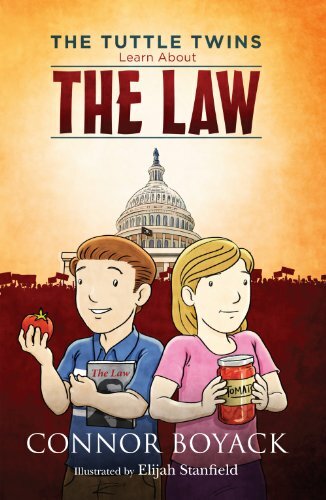 Connor Boyack [send him mail] is president of Libertas Institute in Utah and author of several political books, including a children’s version of Bastiat’s The Law.